Westly Valentin, 23, of 144 Queen St., New Britain, was charged Dec. 5 with second degree forgery, conspiracy to commit second degree forgery and conspiracy to commit obtaining drugs illegally. Patrick Morey, 30, of 29 Railroad Ave., was charged Dec. 5 with two counts of criminal violation of a protective order. Dawn Tagariello, 46, of 17 Evergreen St., Bristol, was charged Dec. 10 with second degree breach of peace and two counts of violation of a protective order. James Gaski, 46, of 1845 Meriden Waterbury Turnpike, was charged Dec. 10 with two counts of violation of a protective order. Leon Speruzzi, 30, of 115 Melbourne Terrace, Waterbury, was charged Dec. 10 with possession of less than a half-ounce of marijuana. Rachel Holt, 43, of 183 Smith St., New Britain, was charged Dec. 11 with possession of a controlled substance and possession of drug paraphernalia. 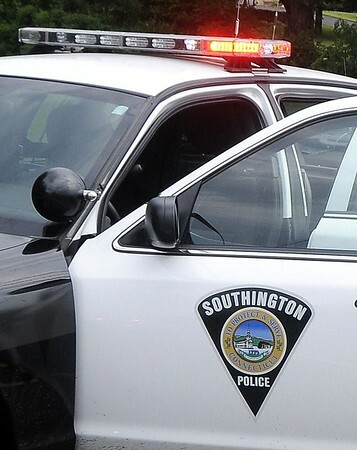 Samantha Marsh, 25, of 21 Cross St., Winthrop, Ma, was charged Dec. 11 with second degree forgery, conspiracy to commit second degree forgery, illegally obtaining drugs, conspiracy to commit obtaining drugs illegally and possession of a controlled substance. Kacie Zentek, 31, of 298 Meriden Ave., was charged Dec. 11 with probation violation. Dontay Long, 25, of 10 Gregory St., New Haven, was charged Dec. 11 with possession of less than a half-ounce of marijuana. Alexander Tenore, 29, of 72 Dallas Ave., Waterbury, was charged Dec. 11 with possession of less than a half-ounce of marijuana and possession of drug paraphernalia. Luis Aponte, 18, of 108 Veteran St., Meriden, was charged Dec. 11 with possession of less than a half-ounce of marijuana. Posted in New Britain Herald, Southington Herald on Sunday, 27 January 2019 21:18. Updated: Sunday, 27 January 2019 21:20.